Using modern production techniques, the 14-18 NOW arts project have collaborated with the Imperial War Museums (IWM), BBC and Peter Jackson, to restore and colourise previously unseen footage from IWM’s extensive archive. 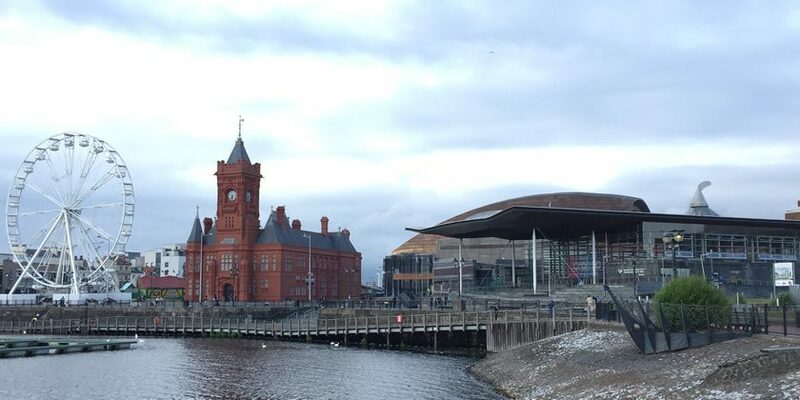 The Welsh Government has supported the project through its Cymru’n Cofio Wales Remembers 1914-1918 programme of commemoration for the centenary of the First World War with a £25,000 grant. This helped ensure that supporting materials for the film would also be available in Welsh. Aberdare Community School tested the learning resources in their History lessons, enabling 14-18 NOW to adjust and finalise them before they were circulated to all schools across Wales. Kirsty Williams today joined pupils in Aberdare Community School to find out more about their involvement in the project and to see the new film. “I have been encouraged by the way in which people have engaged with the First World War commemorations and particularly the number of projects that have been undertaken by young people across Wales. They Shall Not Grow Old will be screened in cinemas and schools across the UK, before being broadcast this Sunday 11th November at 9.30pm on BBC2.